Akhnaten “Akhi” Spencer-El is a 2009 graduate of Semmelweis University in Budapest, Hungary where he completed his Maestro’s degree. A native of Harlem, Spencer-El started fencing at the Peter Westbrook Foundation at the age of 13. He is a three-time U.S. 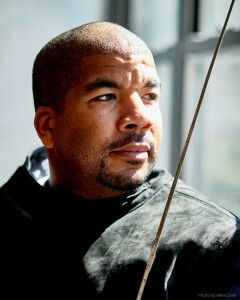 Junior Sabre National Champion, a two-time Senior National Sabre Champion (1999, 2000), and in 1998 was ranked the No. 1 Junior Sabre fencer in the world. He was also a member of the 2000 U.S. Olympic Team. In addition to coaching for Fencers Club, he is also a coach with the Peter Westbrook Foundation and Columbia University.